4 Yummy Hamburger Recipes that are Simple to make! Being the gourmet camping chef I am, NOT, burgers are a staple in my camping menu. We usually have them on our first night after we have completed our set up routine which often includes at least one mishap. By the time we are done we are often hungry and very thirsty, I am sure you can relate. I have yet to find frozen burgers that don’t taste like cardboard or have a mushy texture. We unaffectionately call frozen burgers “hockey pucks” and try to avoid them at all costs. 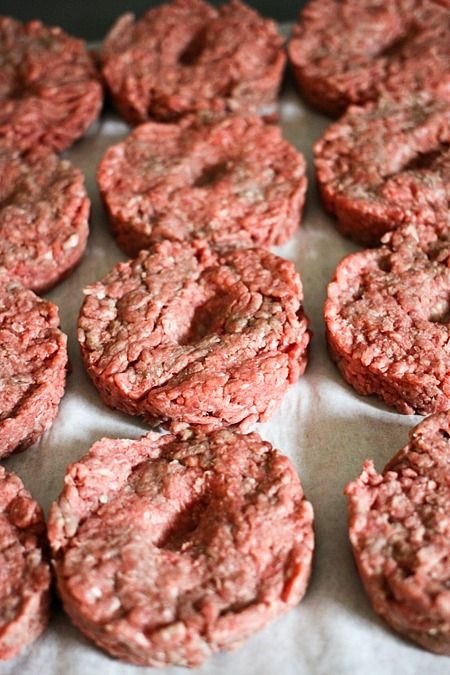 At the beginning of the camping season I buy a huge package of lean ground beef and make up several different kinds of burgers so when we go camping I just grab the number I need and toss them in the RV freezer. 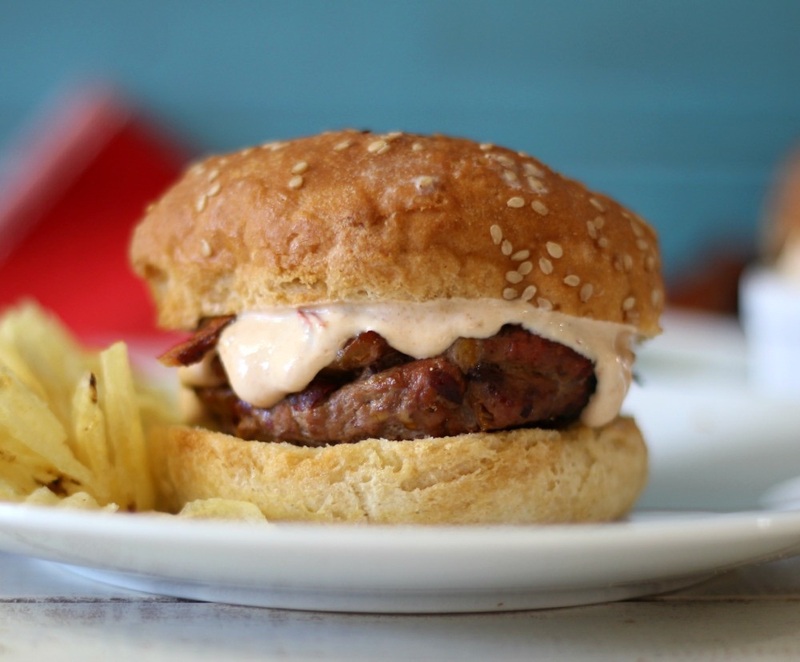 Here are some of the simple standby burger recipes I use. I make this ahead and then add it to my ground hamburger for an easy homemade burger or you can also sprinkle it on top to flavour ready made burgers. If you like a bit more spice, melt Pepper Jack or Chipotle Cheddar on your burger or double the Cayenne Pepper for added kick. 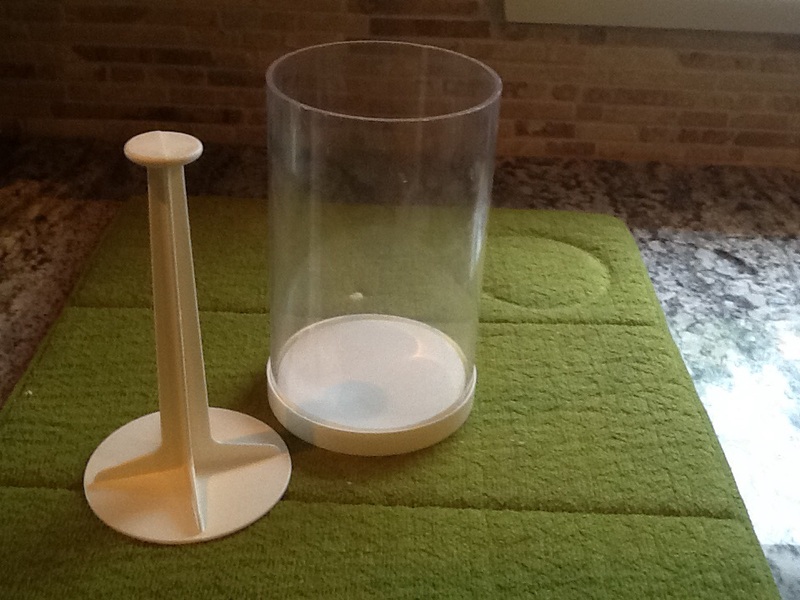 Combine all the ingredients in an airtight container and shake. Mix 2 teaspoons of seasoning to one pound of hamburger. For added simplicity I make several Pocket Cheese Burgers. For this I prepare the above recipe and then make up several 2 oz burgers. I actually weigh all the burgers I make and use a burger press to keep them uniform in size and thickness. I can hear my husband sigh, of course you do, but this is really for him. It makes grilling on our unreliable portable BBQ much easier because each burger requires the same cooking time. Once I have all my 2 oz burgers made, I then place about a tablespoon of shredded cheese in the center of half of them and then top them with a second burger. Pinch the edges together to seal and freeze for future use. I will use, pepper jack, mozzarella, cheddar, gouda, really any cheese that can freeze works. For our family I don’t label or organize the burgers by cheese type. It becomes a surprise when you bite into your burger. My cousin made this burger once while I was camping with him and it was great. Peel and mince 4 cloves of garlic for each pound of hamburger meat. 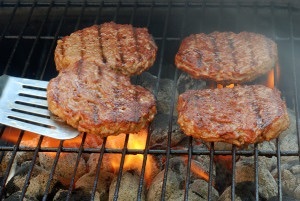 Combine the garlic meat and seasoning from the basic recipe above and form patties. 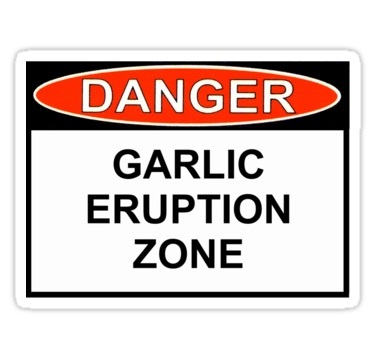 The garlic taste softens with grilling but in the end you have a tasty garlic burger. Top with cheddar cheese and bacon and you have a simple tasty burger. Here is a more gourmet version of a cheese burger pocket. We often have tacos so the Chipotle dip doubles for that meal as well. Combine ground beef, pepper, chipotle peppers, chipotle sauce and bacon. Divide into 8 2oz size patties. 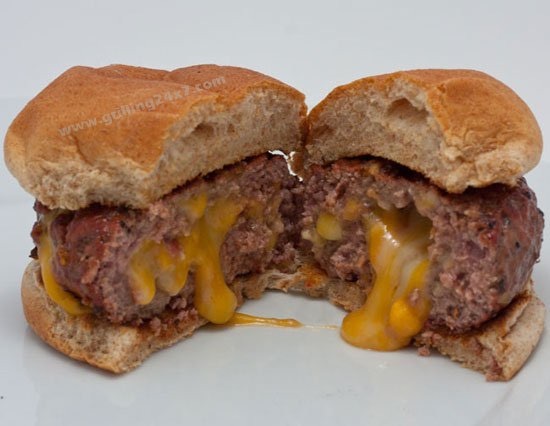 Place about tablespoon of shredded cheese into the center of four patties. Place the remaining 4 patties over the of each patty and shape into a hamburger. Place onto a plate and press a thumb print into the patty. Freeze for later or grill over medium heat. Combine greek yogurt, mayonnaise, lime juice, cumin, chipotle peppers and chipotle in adobo sauce. Mix until well and taste it, if it’s to hot, add more greek yogurt, if it’s not hot enough add more chipotle pepper. Make this ahead because the flavour intensify after it sits for a couple of hours. I make it before we leave for camping and use it throughout the trip. Place the burger onto a hamburger bun and top with chipotle aioli sauce and add additional bacon if desired. If you all have it the. It’s not so bad. Lol. I agree about the better quality of meat. Those premise burgers just taste like filler and fat. My kids have been spoiled and now don’t like them either. There’s hope for me after all! These burgers look great. I am the worst burger cooker ever, but these recipes will help, even if I’m not at a campsite! Awesome! The main grill will be coming off of the moving truck in mere minutes. Time to fire it up and have some burgers! Moving is so much work but the best way to organize and get rid of stuff. I think we should move for that reason alone. Unfortunately, I seem to have thought it would be easier to organize and get rid of things on this end of the move, instead of at the start. Each summer I say I am going to purge things. With a week left before I go back to work I was just done in my crawl space thinking its time to start. I am not kidding, like 30 minutes ago I googles ‘camping recipes’ to find out what we can make (that is easy!) on our upcoming Yellowstone trip. This is an excellent option!! Thanks! !